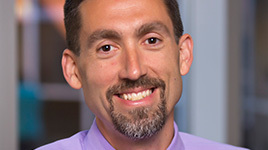 Nationally recognized for his teaching abilities and his research on making health care delivery safer (or reducing medical error), Tim Vogus teaches classes in negotiation and leadership that are among the most popular at Owen. Professor Vogus was named one of the 50 most influential business professors of 2013 and earlier named one of the Top 40 Business School Professors under 40 by PoetsandQuants.com in 2011. He was the recipient of the Owen Graduate School of Management Research Productivity Award in 2013. 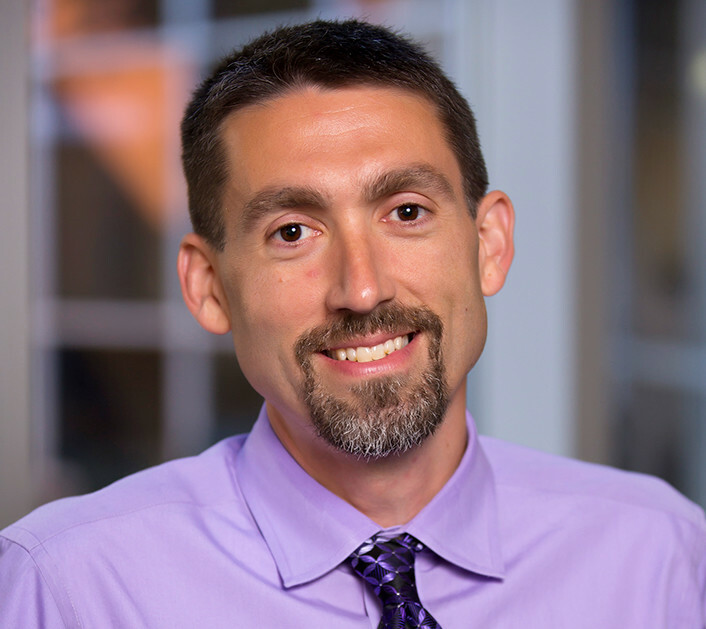 His teaching has been recognized with the James A. Webb Jr. Award for Excellence in Teaching in 2007 and 2013; he was a finalist for the Webb award on 10 other occasions. He previously taught Organizational Behavior at the University of Michigan's Ross School of Business, and in 2002-2003, he received the Gerald and Lillian Dykstra Fellowship for Teaching Excellence. Professor Vogus is the Faculty Director of the Leadership Development Program and the Deputy Director of the Center for Autism and Innovation. He serves on the editorial board of Health Care Management Review and is currently Program Chair for the Health Care Management Division of the Academy of Management. He is also a founding and continuing member of the Blue Ribbon Panel that developed Leapfrog Group's Hospital Safety Score and was a member National Academy of Science/National Research Council panel on Strengthening Safety Culture in the Offshore Oil and Gas Industry. Professor Vogus’ research has been published or is forthcoming in an array of top health services (Health Affairs, Health Services Research, Medical Care, Medical Care Research and Review), industrial relations (ILR Review), management (Academy of Management Annals, Academy of Management Review, Annual Review of Organizational Psychology and Organizational Behavior), medical (American Journal of Emergency Medicine, Annals of Emergency Medicine), nursing (Journal of Nursing Administration), and social work (Children and Youth Services Review) journals. With Ariel Avgar, he co-edited The Evolving Healthcare Landscape: How Employees, Organizations, and Institutions Adapt and Innovate for Cornell University/ILR Press. He also has a book under contract from Stanford University Press titled First, Do No Harm: Creating Highly Reliable Health Care Organizations. Professor Vogus teaches Leading Teams and Organizations within the MBA core curriculum, as well as an elective MBA course on Negotiation. Professor Vogus' research specifies how create and sustain highly reliable (i.e., nearly error-free) performance by strengthening safety culture and habituating mindful organizing – a set of behaviors by which collectives detect and correct errors and unexpected events. He is especially interested in these dynamics in health care settings and their effects on care quality, the incidence of medical error, patient experience, and frontline caregiver outcomes. Hilligoss, Brian, & Vogus, Timothy J. (2015). Navigating Care Transitions: A Process Model of How Doctors Overcome Organizational Barriers and Create Awareness. Medical Care Research & Review, 72(1): 25-48. Ward, Michael J., Ferrand, Yann, Laker, Lauren, Froehle, Craig M., Vogus, Timothy J., Dittus, Robert, Kripalani, Sunil, & Pines, Jesse M. (2015). The Nature and Necessity of Operational Flexibility in the Emergency Department. Annals of Emergency Medicine 65(2): 156-161. Barton, Michelle A., Sutcliffe, Kathleen M., Vogus, Timothy J., & DeWitt, Theodore. (2015). Performing Under Uncertainty: Contextualized Engagement in Wildland Firefighting. Journal of Contingencies and Crisis Management, 23(2): 74-83. Ward, Michael J., Kripilani, Sunil, Storrow, Alan B., Liu, Dandan, Speroff, Theodore, Matheny, Michael, Thomassee, Eric J., Vogus, Timothy J., Munoz, Daniel, Scott, Carol, Fredi, Joseph L., Dittus, Robert S. (2015). Timeliness of Interfacility Transfer for ED Patients with ST-Elevation Myocardial Infarction. American Journal of Emergency Medicine, 33(3): 423-429. Austin, J.M., D’Andrea, B. G., Milstein, A., Pronovost, P., Romano, P. S., Singer, S. J., Vogus, T. J., & Wachter, R. M. (2014). Safety in Numbers: The Development of Leapfrog’s Composite Patient Safety Score in U. S. Hospitals. Journal of Patient Safety 10(1): 64-71. Vogus, T. J., Rothman, N. B., Sutcliffe, K. M., & Weick, K. E. (2014). The Affective Foundations of High Reliability Organizing. Journal of Organizational Behavior 35(4): 592-596. Vogus, T. J., Cooil, B., Sitterding, M. C., & Everett, L. Q. (2014). Safety Organizing, Emotional Exhaustion, and Turnover in Hospital Nursing Units. Medical Care, 52(10): 870-976. McClelland, Laura E., & Vogus, Timothy J. (2014). Compassion Practices and HCAHPS: Does Rewarding and Supporting Workplace Compassion Influence Patient Perceptions? Health Services Research, 49(5): 1670-1683. Singer, S. J., & Vogus, T. J. (2013). Safety climate research: Taking Stock and Looking Forward. BMJ Quality & Safety, 22(1): 1-4. Singer, S. J., & Vogus, T. J. (2013). Reducing hospital errors: Interventions that build safety culture. Annual Review of Public Health, 34: 373-396. Grimes, M. G., McMullen, J. S., Vogus, T. J., & Miller, T. L. (2013). Studying the Origins of Social Entrepreneurship: Compassion and the Role of Embedded Agency. Academy of Management Review, 38(3): 460-463. Matlis, S., Vogus, T. J., & Lawrence, T. B. (2013). Sensemaking and Emotion in Organizations. Organizational Psychology Review, 3(3): 222-247. Miller, T. L., Grimes, M. G., McMullen, J. S., & Vogus, T. J. (2012). Venturing for Others with Heart and Head: How Compassion Encourages Social Entrepreneurship. Academy of Management Review, 37(4): 616-640. Vogus, T. J., & Sutcliffe, K. M. (2012). Organizational Mindfulness and Mindful Organizing: A Reconciliation and Path Forward. Academy of Management Learning & Education, 11(4): 722-735. Vogus, T. J., Sutcliffe, K. M., & Weick, K. E. 2010. Doing No Harm: Enabling, Enacting, and Elaborating a Culture of Safety in Health Care Delivery. Academy of Management Perspectives, 24: 60-77. Vogus, T. J., & Sutcliffe, K. M. 2007. The Safety Organizing Scale: Development and Validation of a Behavioral Measure of Safety Culture in Hospital Nursing Units. Medical Care, 45: 46-54. Vogus, T. J., & Sutcliffe, K. M. 2007. The Impact of Safety Organizing, Trusted Leadership, and Care Pathways on Reported Medication Errors in Hospital Nursing Units. Medical Care, 45: 997-1002. Vogus, T. J., & Welbourne, T. M. 2003. Structuring for High Reliability: HR Practices and Mindful Processes in Reliability-Seeking Organizations. Journal of Organizational Behavior, 24: 877-903. Vogus, T. J. 2011. Mindful Organizing: Establishing and Extending the Foundations of Highly Reliable Performance. In Cameron, K. and Spreitzer, G. M. (Eds.). The Oxford Handbook of Positive Organizational Scholarship: 664-676. Oxford: Oxford University Press. Vogus, T. J., & Davis, G. F. 2005. Elite Mobilizations for Antitakeover Legislation: 1982-1990. In Davis, G.F., McAdam, D., Scott, W.R., and Zald, M.N. (Eds. ), Social Movements and Organization Theory: 96-121. Cambridge: Cambridge University Press. Sutcliffe, K.M., Vogus, T. J. 2003. Organizing for Resilience. In Cameron, K., Dutton, J.E., and Quinn, R.E. (Eds. ), Positive Organizational Scholarship: 94-110. San Francisco: Berrett-Koehler Publishers.